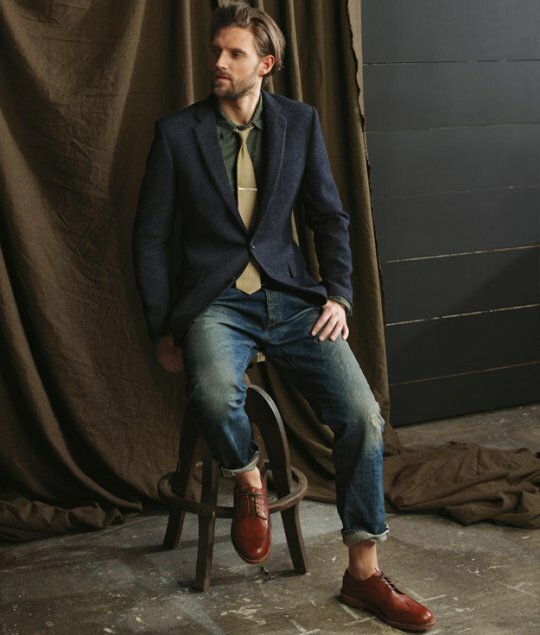 J.Crew has finally put up some high-res images from their lookbook for fall. It looks like you can pre-order these items, and I would guess that their seasonal rollout will start getting to stores later this month. See previously: J.Crew Fall/Winter 2010 Presentation. Secret Forts had some extra scans up as well. Also new is a video from the presentation where they highlight a jacket made from blue tweed – an unusual fabric today that was more common decades ago (it’s easy to find vintage J.Press jackets made with it in fact, along with other unusual patterns). – it was announced today in WWD that J.Crew will be working with Imogene + Willie, a high-end line based out of Nashville. Read more on imogeneandwillie.blogspot.com. 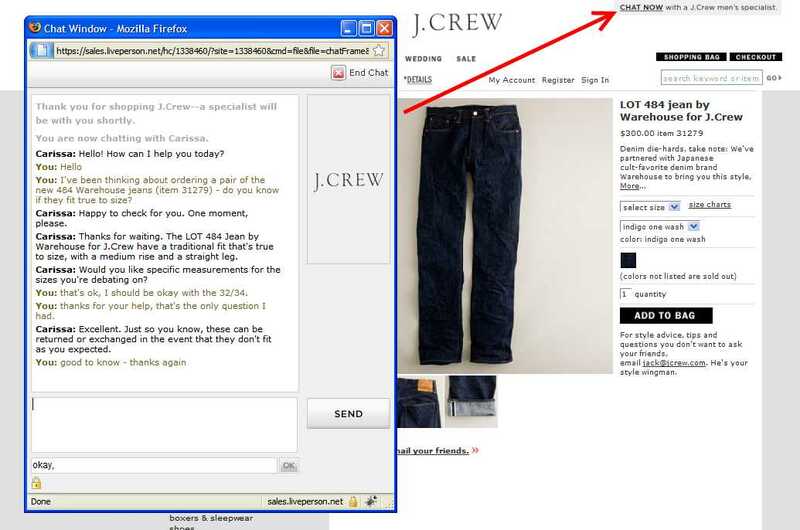 – browsing their website today, you might notice that J.Crew has added a new chat feature where you can talk with sales specialists – this is a great idea and will be very convenient to get answers right away instead of having to call. Look for the “chat now” button on the top right corner of the page to see if someone is available. More companies should take advantage of these types of technologies if they have the resources and staffing available to do so.